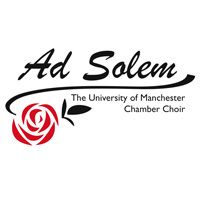 Join Ad Solem, the University of Manchester Chamber Choir, for a French-themed evening of festivity in the Cosmo Rodewald Concert Hall. The choir will be performing Poulenc's challenging Mass in G and his beautiful cantata Un Soir de Neige, alongside motets by Villette, Messiaen and Mouton, and an accompanied motet by J.S. Bach. All this will be topped off with some traditional French carols, so come along to get in the mood for Noël!